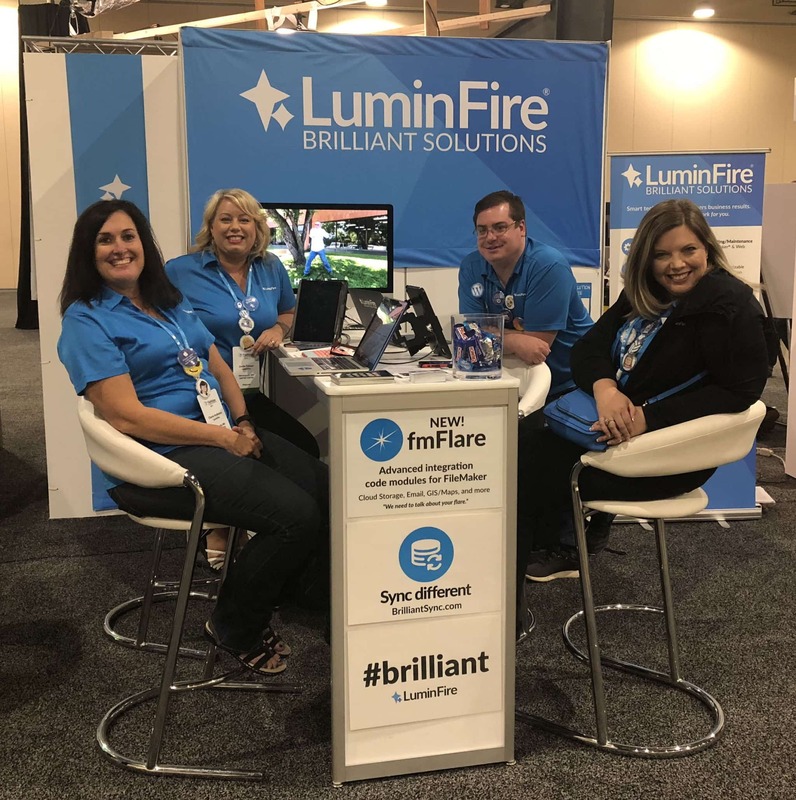 Our LuminFire team just returned from a week at the FileMaker 2018 DevCon in Dallas, Texas. 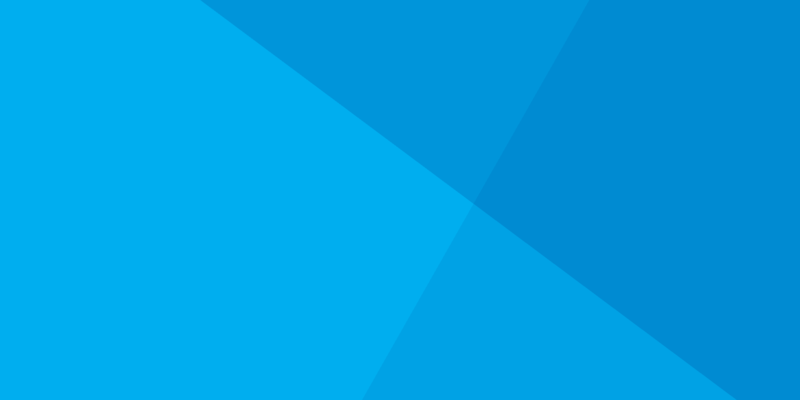 FileMaker’s place in the world is now clarified as the Workplace Innovation Platform (WIP). 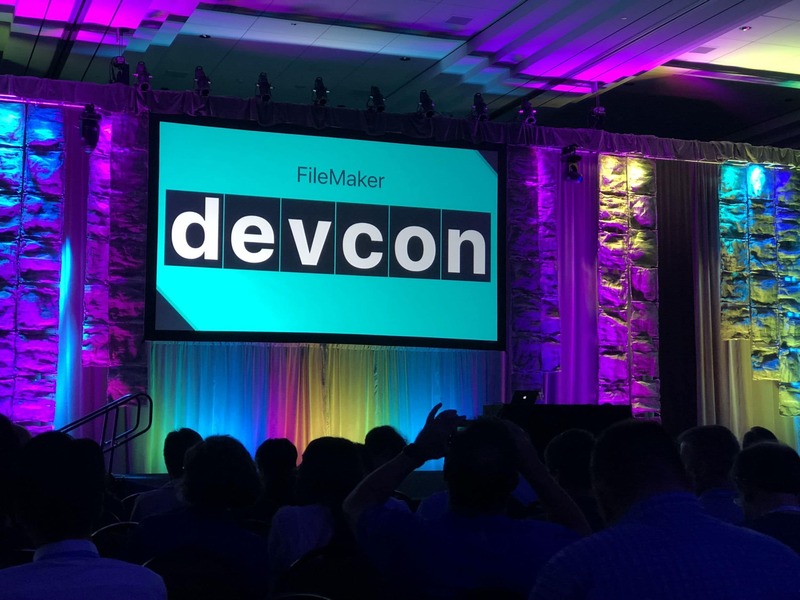 It’s a great description of what we’ve known for sometime…that FileMaker can help organizations innovate by rapidly building custom applications. 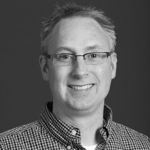 Each year, FileMaker recognizes FileMaker Business Alliance (FBA) partners who have demonstrated an impressive level of professionalism and creativity in using FileMaker software to deliver excellent solutions to their customers. 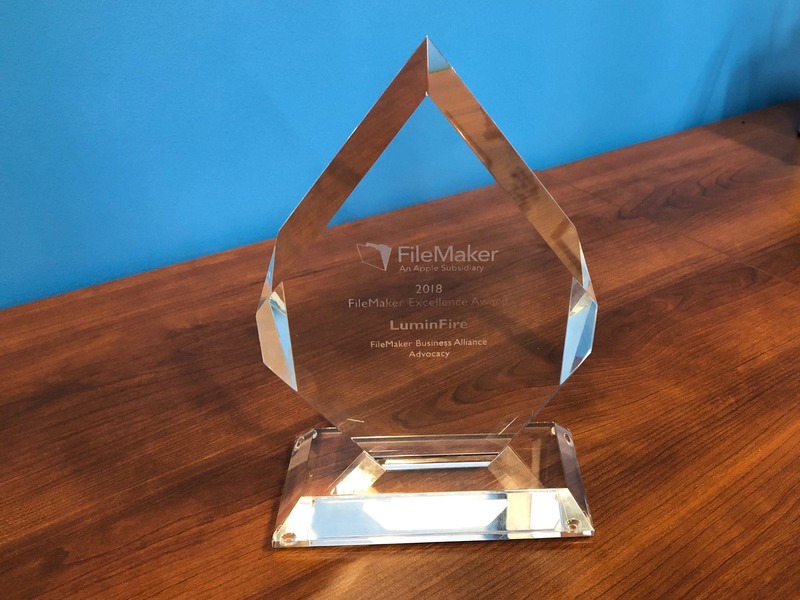 The FileMaker Excellence Award winners are chosen from over 1,400 FBA members worldwide who are FileMaker consultants, solution providers, plug-in developers, trainers, and hosting companies that serve a wide variety of industries. This year, 10 FileMaker Excellence awards were given out at the closing session to organizations from around the globe. 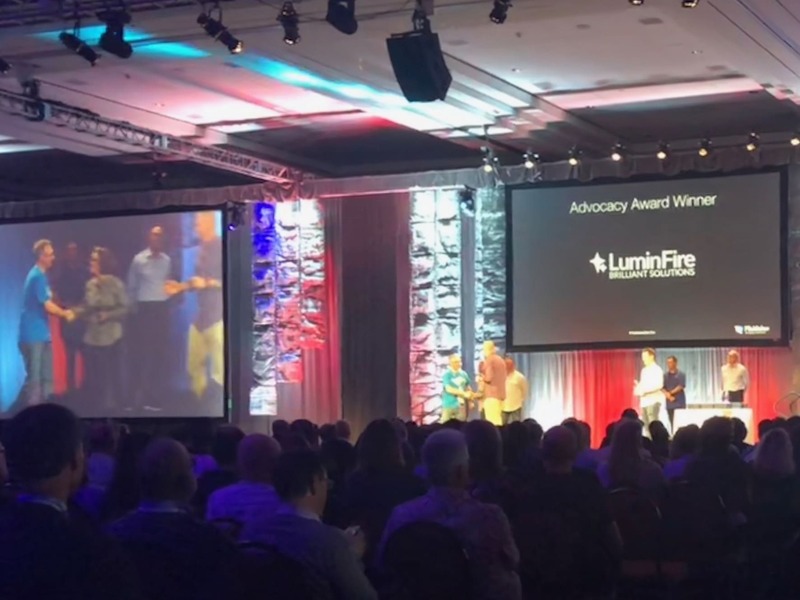 LuminFire was honored to have our work recognized through two awards! 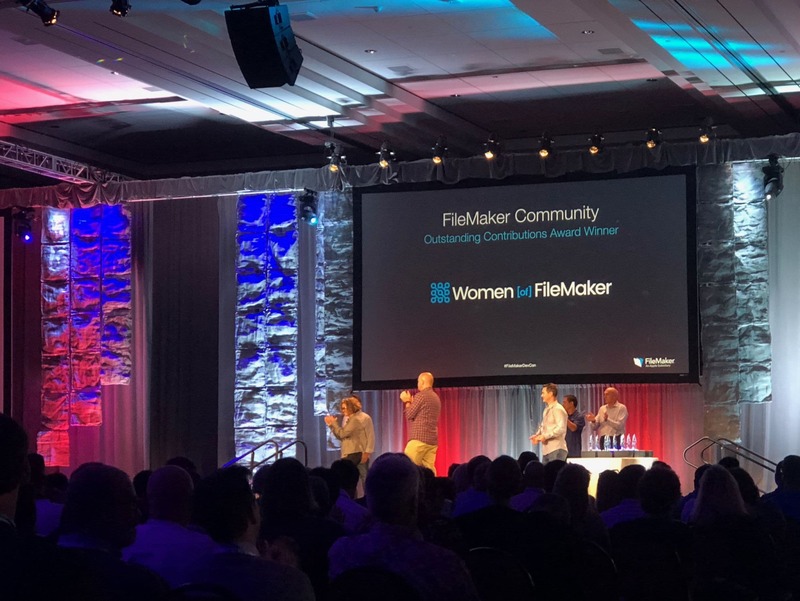 Women of FileMaker encourages women to be involved in technology through scholarships, mentoring, and other connection opportunities. LuminFire worked to rebrand and renew the Women of FileMaker group including building a new website and logo. Last year Brenda spoke and organized the annual luncheon. LuminFire has consistently delivered quality articles and free sample files to the FileMaker community…many of which have been translated and published around the world. We also regularly host FileMaker user group meetings at our headquarters and have had nearly 100,000 views of our curated FileMaker News. Additionally, our free fmIgnite starter solution has had hundreds of downloads since its release a year ago. We are so honored to have FileMaker recognize our hard work supporting the platform with these awards. 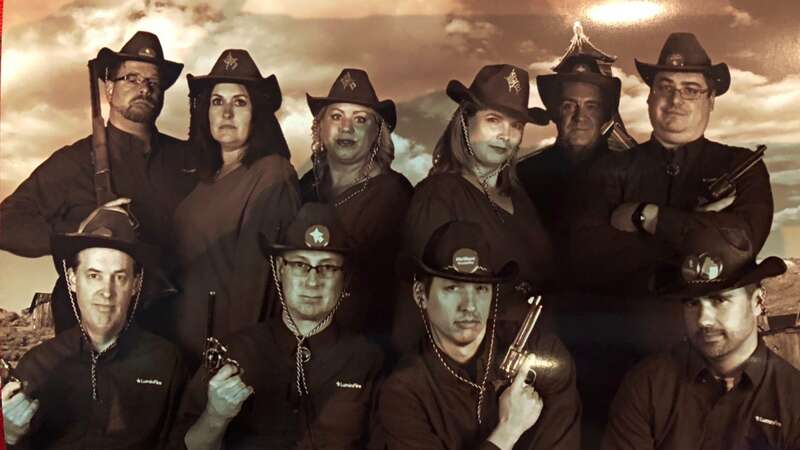 …and finally our team photo from Texas.